Knee surgery is never the first option. Sometimes, you can help your knee pain with non-surgical alternative treatments. Because knee pain is common among the general population, be sure to discuss your options with the doctor. The knees are weight-bearing joints. If you are overweight, you will have knee pain. Losing pounds helps with pain. Just 10 pounds of weight adds up to 60 pounds of force on the knee, which worsens with each step. A recent study found that losing 15 pounds would amount to significant improvement in your quality of life and comfort level. 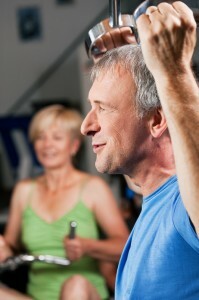 Exercise also helps to strengthen the muscles that support the knee joints. Working with a physical therapist will help reduce pain and strengthen the main muscles of the knees. The therapist will teach you to do exercises correctly. Ice, heat, and transcutaneous electrical nerve stimulation (TENS) are methods used to increase blood flow and relieve knee pain. 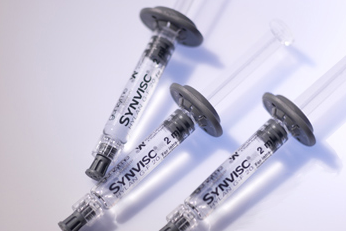 Hyaluronic acid is a knee injection solution that lubricates the knee and replaces lost synovial fluid. This substance helps bone and cartilage tissues slide more smoothly in the joint, so it can improve knee mobility and decrease pain. Injections of a corticosteroid will help decrease inflammation and alleviate pain. Over-the-counter and prescription strength non-steroidal anti-inflammatory drugs (NSAIDs) are given for knee pain. These drugs work by reducing joint inflammation. Examples include ibuprofen, naproxen, Motrin, and Aleve. The doctor may also recommend a topical numbing agent, such as lidocaine or Marcaine. Some people choose to use acupuncture for knee pain. This ancient Chinese treatment uses thin, sharp needles to impact nerves and alter the flow of energy (chi or qui). Studies show that acupuncture has proven successful for reducing knee pain in some patients. With this approach, a dextrose solution is injected into the tendon or ligament to increase blood flow and improve nutrient supply. Dextrose is a sugar mixture that stimulates the tissue to repair itself. Typical treatment regimen is 4-6 injections within a 6- to 12-month period. inserting a tiny scope, and viewing the structures of the joint. Stem cell injections are used to instill bone marrow stem cells from the hip bone into the knee joint. These cells help regenerate cartilage tissue, as they contain many growth factors. This cutting-edge technology is being used to repair the knee and reduce pain. Glucosamine and chondroitin are substances that help cartilage nutrition and decrease inflammation. While no scientific evidence supports the use of these supplements, many patients buy them over-the-counter and claim they work. Overuse and repetitive use of the knees may eventually lead to damage to the joint and bones around it. This damage is considered bone edema, which is essentially swelling. By taking weight off the knee joint, the pressure is relieved, and the bones have an opportunity to heal. Platelet-rich plasma is a concentration of platelets and growth factors that are found in healthy blood. The patient’s blood is drawn per usual technique, and the blood components are separated from the plasma and injected into the knee joint. This is done to enhance the natural healing abilities of the knee joint.